Life potentials How to leave bad habits behind? How to leave bad habits behind? The brain’s dependence on automatic routines can be dangerous. Habits are often as much a curse as a benefit. 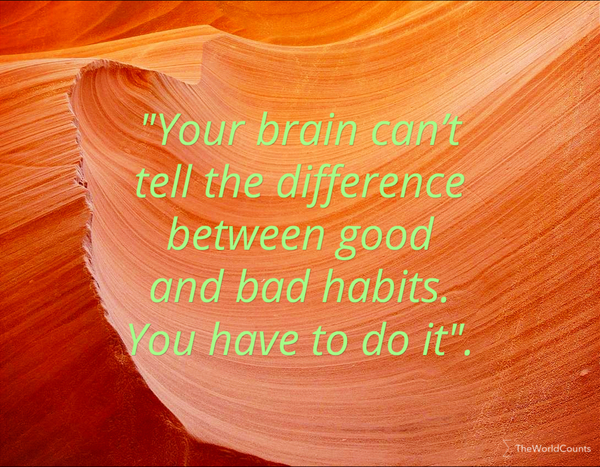 The problem is that your brain can’t tell the difference between bad and good habits. The funny thing about habits is that even when they’re causing havoc in our lives, it’s so difficult to break away from them. Their roots get planted deep in our psyche, and it will take a lot of work to uproot them. If you’ve ever had a bad relationship, you’d know what I mean. You know you have to get away and end the relationship that’s making you miserable… but you can’t. You just don’t have enough willpower to do so. You’ve become so used to having it around and it has established a hold on every aspect of your life. Removing it would require turning your life inside out, and cutting off all the roots that have taken hold over time. But sometimes, it’s necessary to get rid of things that are preventing you from achieving happiness and success. Our brain cannot distinguish a bad habit from a good one. All it knows is that if you repeatedly do it, and if the action gives you some sort of reward, then it will get added to your auto-routine. You know which of your habits you need to break away from. 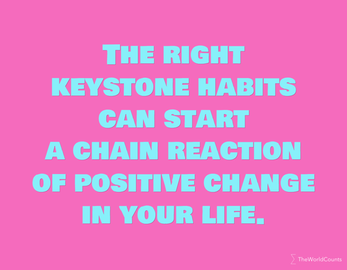 If you haven’t pinpointed the exact habit yet, think of why you failed or why you’re unhappy and go deeper into the reasons. Be honest with yourself. Why did you lose your job? Because you were not performing as expected. Because you are so tired these days, and you can’t seem to get your energy up. Because you haven’t been sleeping enough. Because you drink too much every night. There’s the culprit. Drinking every night is the bad habit you need to get rid of. Get to the root cause of your actions and examine your motives. Most bad habits are caused by boredom or stress. Drinking, smoking, overspending, too much time browsing, overeating – all these activities are your way of entertaining and comforting yourself when you’re bored or anxious. It may seem innocent in the beginning, but after a while, it starts causing a ripple of negativity. When you’ve identified the bad habit that you want to leave behind, remember that stopping the activity cold-turkey is not the best way to do it. Because even bad habits make you feel rewarded in some way. If you stop it, you’ll feel deprived. You’ll start craving for the reward you used to get out of the activity. It starts looking more attractive, even though it’s not. This will make it hard for you to get rid of it permanently. The best thing to do is to replace the bad habit with a good one which offers the same entertainment and comfort. Instead of reaching for a cake when you’re feeling down, why not make a salad instead? Or call your friends and take a nature trip instead of going to the bar on a Sunday night? The replacement should be an activity that you enjoy, not something forced. It should make you happy, excited, relaxed, or comforted. Otherwise, it will not effectively replace the bad habit. Our brain doesn’t like the word no. Everything forbidden, become so much more attractive. Instead of stopping yourself from doing something, do something else INSTEAD. Something just as exciting and comforting. This is the key to replacing habits. 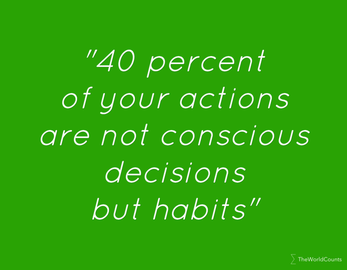 At first, your brain will keep leading you back to the bad habit. Just be consistent and keep doing the new habit you want to reinforce. If the substitute habit is not working out, if it’s not offering the same kind of gratification, try other activities until you find the best replacement. Be firm with yourself. Leaving bad habits behind takes a lot of work. Focus on the positive outcome to keep yourself motivated. If you fall off the wagon and succumb to the temptation, fine yourself. Every time you drink more than a glass, put $5 on a jar. Make the bad habit painful and it will stop being rewarding. Your brain will let it go. Aside from the reward of acquiring a new habit that changes your life for the better, give yourself a pat on the back by getting something you’ve always wanted - maybe just something simple as i nice meal or a good book. Our brain loves to be gratified and it will reinforce activities that are rewarding. You deserve it anyway. How did you leave a bad habit behind? What strategies did you use? 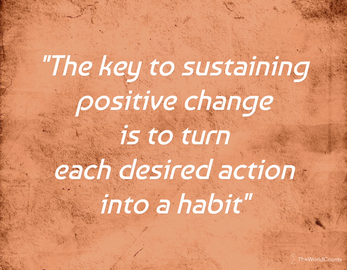 You want to know how habits can be used to create positive change in your life? 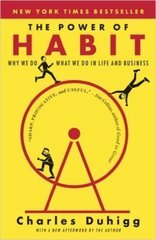 Then you should read the bestselling "The Power of Habit: Why We Do What We Do in Life and Business" by Charles Duhigg.